Maybe we're a little bit biased, but here at Confetti, we think coordinating wedding table decorations is one of the most enjoyable parts of the wedding planning process. Not only do you get to let your creativity run loose with centrepieces, confetti, linens and glassware, but you also get to knock out a large chunk of the decoration planning in one creative swoop. 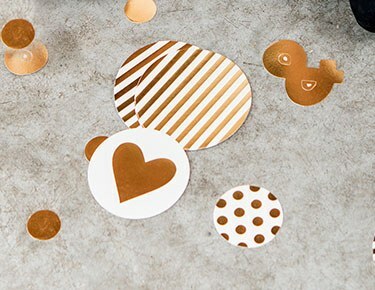 The Confetti team is here to help you make the most of this exciting planning process with the best table decorations for wedding reception themes of all shapes and sizes. Shop wedding reception decorations for beachy, vintage, glamorous, rustic and elegant themes that will really get your creativity popping. But these ideas aren't only for weddings! We can help you set exactly the right tone for family reunions, graduations, baby showers or any other event that requires beautiful tables for your family and friends. If you're looking for amazing accents for your DIY wedding table centrepieces, you're in the right place. The centrepieces are perhaps the most central wedding decoration in your whole venue, so you want to make sure they stand out and tell your story. Whether you're looking for a beautiful crystal decoration for wedding centrepieces with a glammed-up sensibility, or want to create stunning, all-natural designs with water crystals and pearls, the Confetti collection is sure to get your wheels spinning. 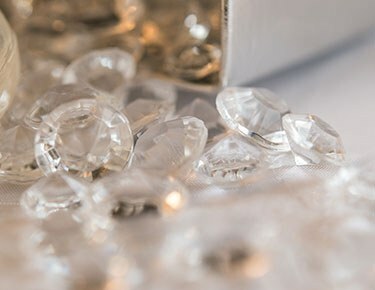 We have faux jewel trim, buckles, crystal drops, pins and decorative table confetti that you can use to embellish your homemade centrepieces and bring them to life. 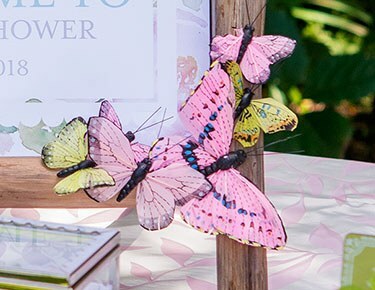 Add texture and charm to floral centrepieces with thoughtful details, like metal charms, ceramic birds, wooden clothespins or whimsical paper butterflies. 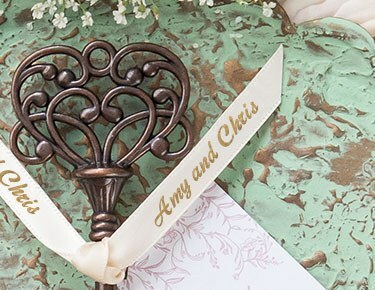 Our large selection of ribbons and twines will add a finishing touch that is anything but ordinary, with options to personalise ribbon rolls with your names or the date of your event. We also have wonderful accents for your table settings, including the loveliest napkin rings and small metal charms you've ever seen. 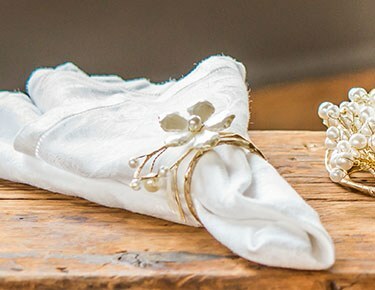 Your guests will feel like they're dining in a five-star restaurant when you jazz up your folded napkins with eye-catching napkin rings finished with pearls, rhinestones, wood, gold wire and more. We even have personalised napkin rings that double as seating assignments. 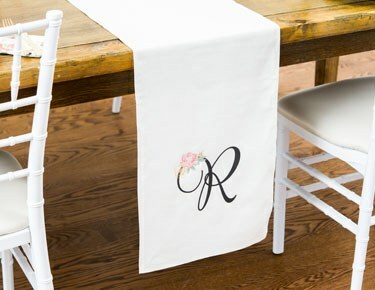 Don't forget to take a stroll through our variety of personalised paper place mats and table runners in specialty fabrics like linen, sequins, chiffon and burlap to set the stage for a one-of-a-kind table display. Personalise your runners with an elegant monogram, or help guests find their tables with embroidered table numbers on fabric runners for a special added touch. Go ahead and indulge in all the coordinating tabletop décor and place setting items you will need without worrying about the budget. All North American orders over $99 ship free from Confetti, so you can create Pinterest-worthy table decor that guests will remember long after the final toast.